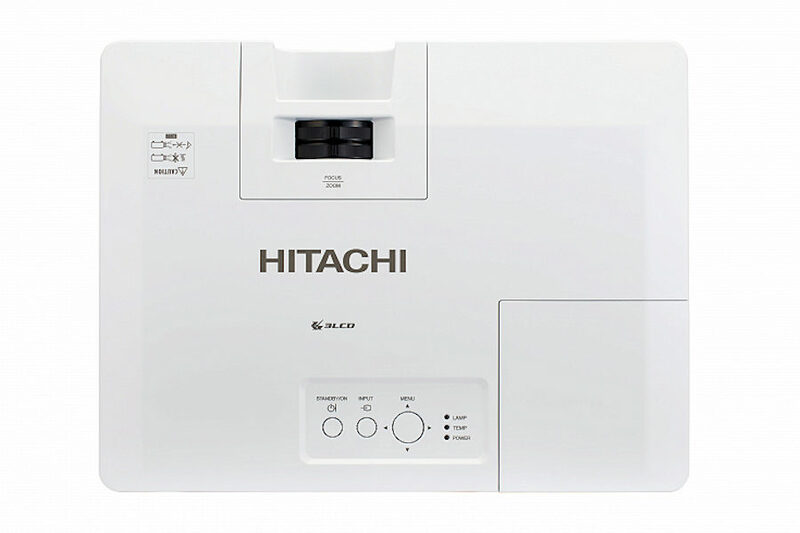 When the Hitachi projector is in standby mode and detects the video signal input from an external device, this function starts up the projector to display the image automatically on the screen. This makes the time to start up the projector and begin presenting quicker and easier. 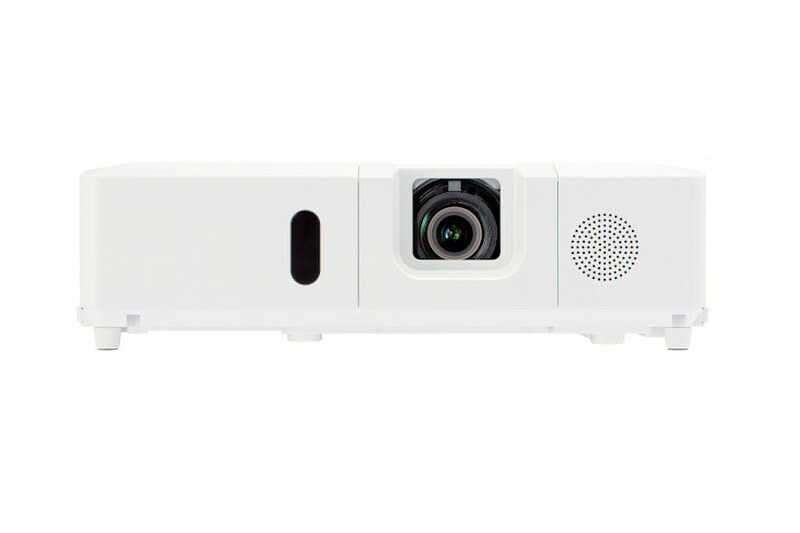 The CP-EU4501wn projectors have a DICOM (Digital Imaging and Communications in Medicine) Simulation Mode. This mode simulates the DICOM standard, which is a standard applicable to digital communications in medicine, and is useful for displaying medical images such as X-rays. 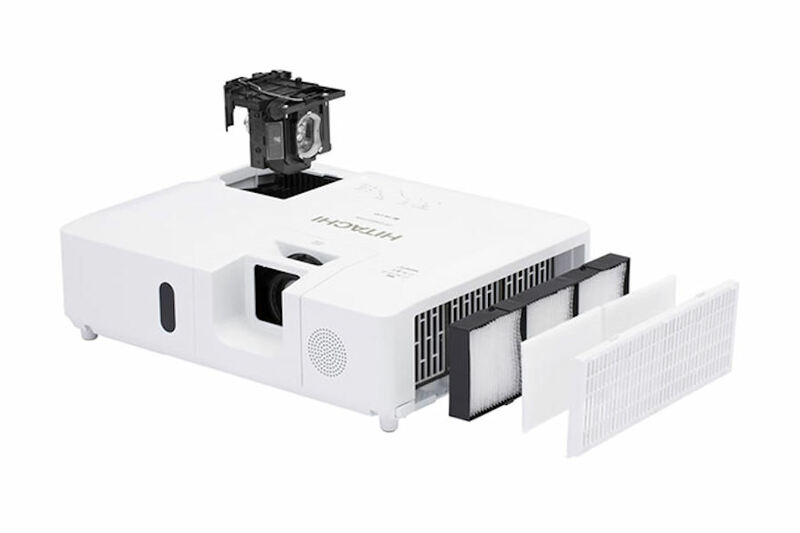 These projectors are not medical devices and are not compliant with the DICOM standard, and neither the projector nor the DICOM Simulation Mode should be used for medical diagnosis. Comparison photos are simulations. 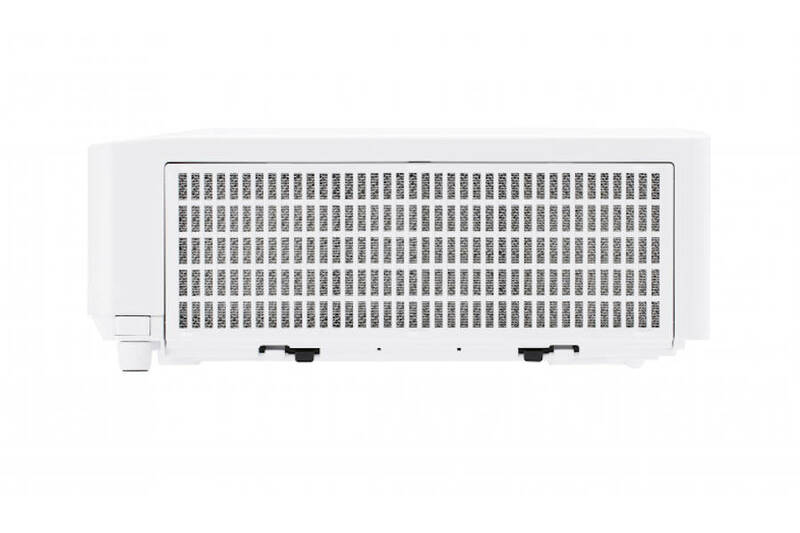 This Hitachi EU4501wn LCD projector incorporates three LCD panels with inorganic alignment layers that are extremely light resistant, increasing brightness and contrast ratio. They ensure smooth images and high reliability. 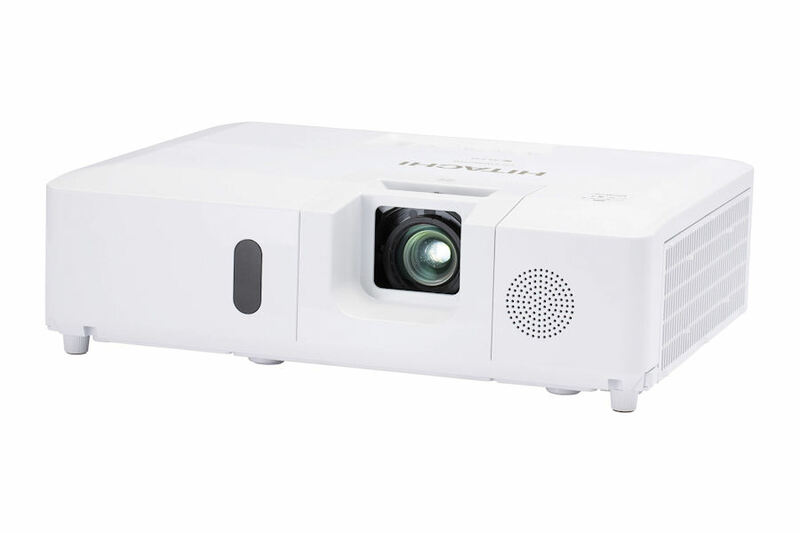 Featuring a powerful 1.6× manual zoom lens, the projector allows for a greater range of installation possibilities. 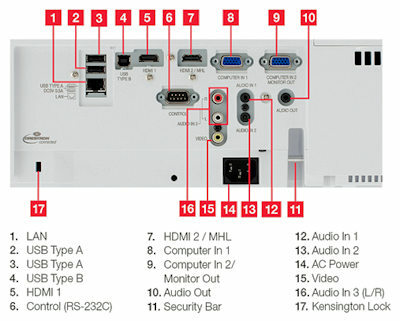 Copy configuration settings from one EU4501wn projector to others of the same model via USB memory. Cloning not only saves almost all PJ settings such as gamma and keystone via USB memory, it saves countless hours in setup and installation. 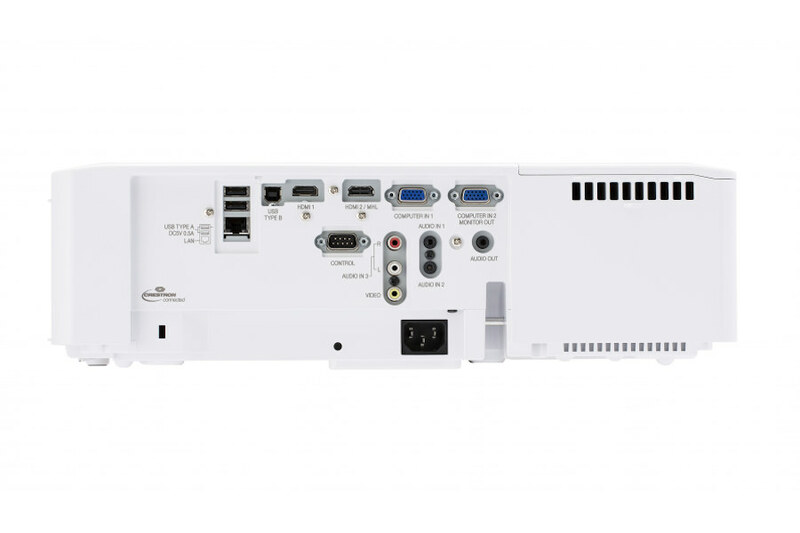 Connect the CP-EU4501wn projector to a a computer or your network using the optional USB wireless adapter (part number USBWL5G). The adapter supports IEEE802.11b/g and 11n. Lamps can blow, if you need your projector working and can't afford down time, you may need to keep a spare lamp. The replacement projector lamp for the Hitachi CP-EU4501wn is the DT02061.